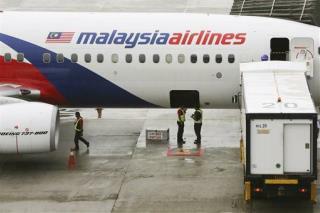 (Newser) – In a year that's seen one plane disappear and another get shot down, Malaysia Airlines is feeling the financial pain. "The southeast Asia air carrier burns its cash reserves at nearly $2.16 million each day," said Howard University professor Oliver McGee, as per Mashable. "Operations are losing about $1.6 million a day." Customers are posting pictures of rows of empty seats, even as the company is reportedly offering commission hikes to travel agents and huge discounts to customers. On many carriers, a flight between Kuala Lumpur and Beijing can cost more than $500; on Malaysia Airlines, it's recently been less than half that, Mashable notes. The problems may not be of the airline's making, but something is seriously wrong with the infrastructure the airline must use in Malaysia. Is it with the air traffic controllers? The government regulators, the maintenance people? No one is saying anything conclusive. But ask yourselves… would you gamble on your life to fly this airline? I wouldn't. The source of it's problems don't matter.. that it's got problems, does.